Batman Il y a 4 produits. 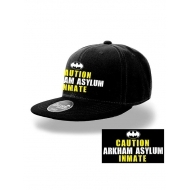 Casquette Batman v Superman Dawn of Justice, modèle baseball Logo Batman. Casquette Batman, modèle baseball Logo Black Bat Black.